We are an authorized Fortinet partner proudly serving NZ. We sell, install, configure, support and maintain Fortinet security for organisations of all sizes. We can help you determine which products are best for your specific needs. Fortinet dominated the recent Gartner magic quadrant on Unified Threat Management, ahead of all other vendors. Have peace of mind knowing that you have invested in a quality product with a rich feature set. Fission can configure your Fortinet to suit your organisations requirements. Contact us today for a free consultation to see how Fortinet can help secure your business IT. Fortinet products integrate tightly which increases visibility and eases management. Products are centrally managed by the FortiGate interface. 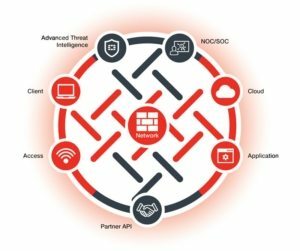 Fortigate is a next generation firewall appliance with optional Unified Threat Management. FortiWIFI is a Fortigate firewall appliance with a built in wireless access point. FortiAP is Fortinets Wireless Access point, centrally managed by Fortigate or FortiCloud. FortiSwitch models include 8, 24 and 48 ports, optional POE, and combinations of various SFP slots. FortiCloud is a cloud-based provisioning, configuration management and log retention service for all product lines ideal for organisations with distributed branch offices and limited onsite IT resources. FortiGuard is Fortinet’s security service that automatically updates your FortiGate to protect against emerging threats. FortiGuard UTM Services Bundle includes: AntiVirus, AntiSpam, Web Filtering, Application Control & IPS and 8×5 or 24×7 support. FortiCare is Fortinet’s technical support and hardware replacement service. Various levels of support are available (8×5, 24×7) and all plans include firmware upgrades and web, chat and phone support. Core FortiCare services are included in the FortiGuard UTM Bundle.